The festivities of La Mercè are near and at BusPlana we don’t want you to miss a single detail of the most important festivity in the Catalan capital. La Mercè is a golden opportunity to live a city full of activities, concerts, folklore and joy in the streets. These festivities are organized in honor of the Virgin of la Mercè who, according to legend, appeared simultaneously before three great figures of medieval Catalan politics, and who, later, saved the city from a terrible plague of locusts during the 17th century. These miracles made her the patron saint of the city and, from the end of the 18th century, the Festivity of La Mercè began. La Mercè, as a model for Catalan City Festivities, takes the people out in the streets and fills them with activities. Nowadays, the festivities are not only made up of traditional activities but concerts or performing arts shows are held, as well. Although traditional events are linked to specific areas of the city center, there are many other events that are scattered through the streets and neighborhoods of the city. It is traditional to see the dances of cardboard-stone giants, dwarves and beasts. It is also spectacular to see the "correfoc", a parade where people dressed as devils roam and dance with special fire flares. 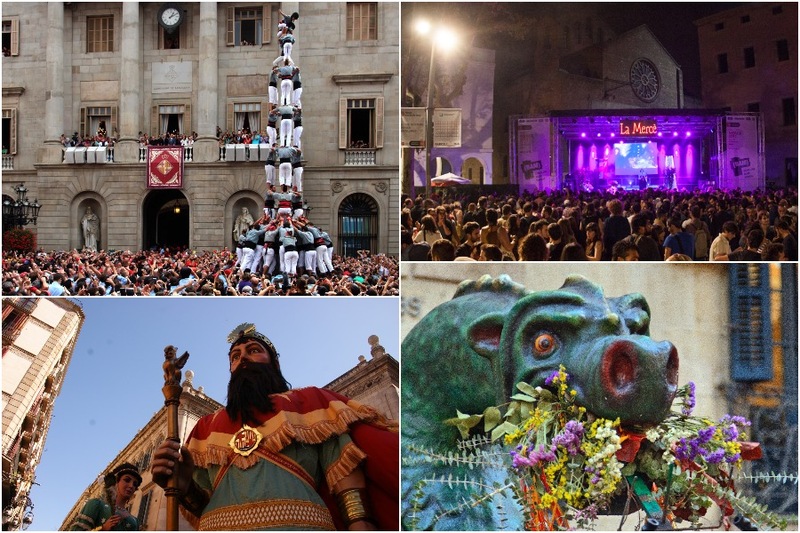 In addition to these traditional events, dating from the high Middle Ages, during the Mercè you can also see the spectacle of the ‘castles’ or human towers. The order of activities is highly arranged and many activities are interrelated. The 2018 edition invites the city of Lisbon who will bring a special hue to the Festivity.